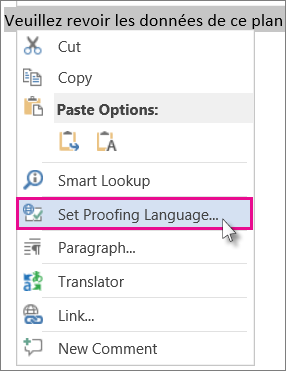 If you are working on a document and need to add text that is in a language other than the one you normally use, Office can check spelling and grammar of that text for you. If you're looking for information on how to use the proofing tools or turn spelling or grammar checking on or off see: Check spelling and grammar in Office 2010 and later. Note: If you want to type in a non-Latin-based language, such as Arabic or Chinese, you can switch the keyboard layout with the Language bar. When you change the keyboard layout, Office changes the spelling and grammar language for you. For more information, see Enable or change the keyboard layout language. To check spelling and grammar accurately, Office needs to know the language that text is in. Place your cursor in the document where you want to start typing text in a different language. Or, if you have already typed the text, select the text. Note that if you don't place the cursor on, or among, the text you want to check that Step 2 may be unavailable. Scroll to the language you want to use and select it. Click OK to close the Language dialog box. On the Review tab in Excel or the Home tab in Access, click Spelling. In the Spelling pane or dialog box, choose the language you want in the Dictionary language list. Tip: If the spell check doesn't find any errors, you won't get a Spelling dialog box. If that happens when you're trying to change the dictionary language consider intentionally misspelling a word to force the dialog box to appear. If the language you want is not available, you might need an Office language pack. 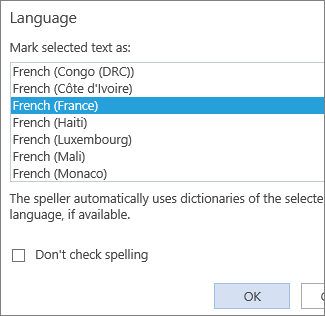 For more information, see Language Accessory Pack for Office 2016. 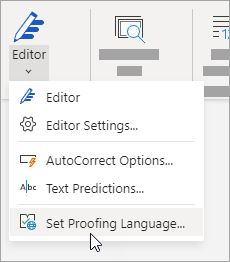 If you want to change the default editing language to check the spelling, see Change the language Office uses in its menus and proofing tools. In the InfoPath Designer, Set Proofing Language applies to the current form view. Forms with multiple views can have different proofing languages for each view. In InfoPath Editor, Set Proofing Language applies to the entire form. The proofing language applies to the entire view. All text in the view is marked as the same language. On the Home tab, click the arrow under Spelling, and then click Set Proofing Language. In the Language dialog box, click the language that you want. Start typing, or check the spelling. In your new document, click where you want to start writing in a different language. On the Review tab, click Spelling, and Set Proofing Language. Scroll through the list to select the language you want, and click OK. Begin typing in the language you've selected. To switch back to the original language, repeat steps 3 and 4. Open the existing document that you want to change the language for. 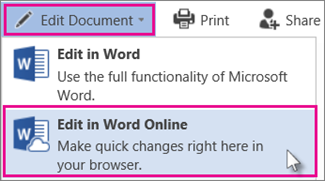 Click Edit Document, and then click Word Online. Select and right-click the text, and click Set Proofing Language.